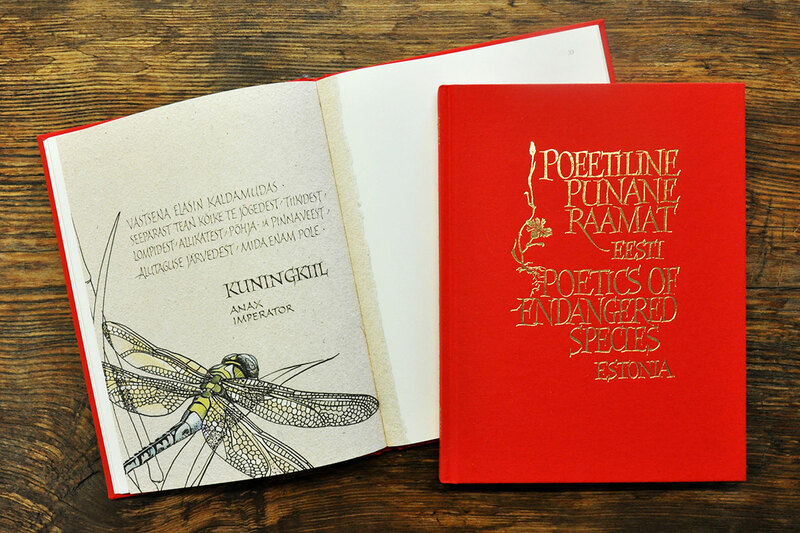 The Ukrainian Cultural Center in Tallinn has launched a crowd-funding campaign to republish a new and improved facsimile edition of The Poetics of Endangered Species book! Read the whole story, watch the video, and support us here! Why are we republishing the book? We want to celebrate Estonia’s unique nature. With the improved and expanded edition of The Poetics of Endangered Species, we can share the beauty and diversity of Estonia’s nature with the whole world! If the republishing of this book sparks initiative to actively protect Estonia’s nature, we will be proud to have contributed. Support our campaign by purchasing one of the offered rewards. Share the campaign with your friends! The second improved edition of The Poetics of Endangered Species for an exclusive campaign price with a handmade dust jacket, which will be available only for the campaign supporters. A letterpress printed page from the handmade version of The Poetics of Endangered Species – to hang on your wall. A handmade bookmark and postcard designed exclusively for the campaign. A papermaking workshop or a whole day spent with us at the Ukrainian Cultural Center. An original fully handmade copy of The Poetics of Endangered Species. We will be creating the handmade edition of The Poetics of Endangered Species. The facsimile edition will be a reproduction of the handmade version, with all its original illustrations and calligraphy. We will be printing all the other rewards with letterpress onto our handmade paper, right down to the bookmark. We want everyone who contributes to experience the handmade aspects of The Poetics of Endangered Species!